Manufactured in Japon from Circa 1959 until 0. 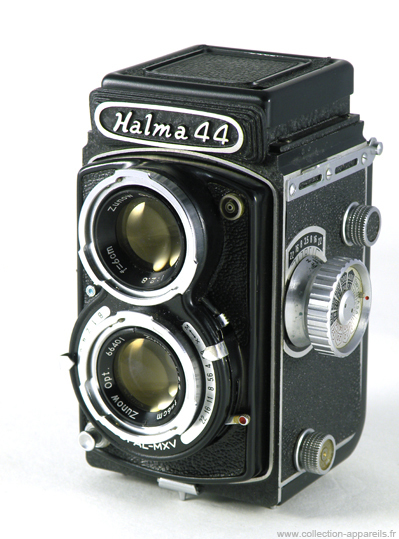 The Halma 44 is equipped with two Zunow Opt. lenses with same aperture and same focal length and with a Copal MXV shutter. Which would make it a direct competitor of some Yashica, if they were built at the same time. During the winding of the film, the stop on the next image is automatic by locking of the film advance wheel. The camera is provided with two views counters. The first is mechanical and progressive while the second is the simple inactinic window at the back of the unit.